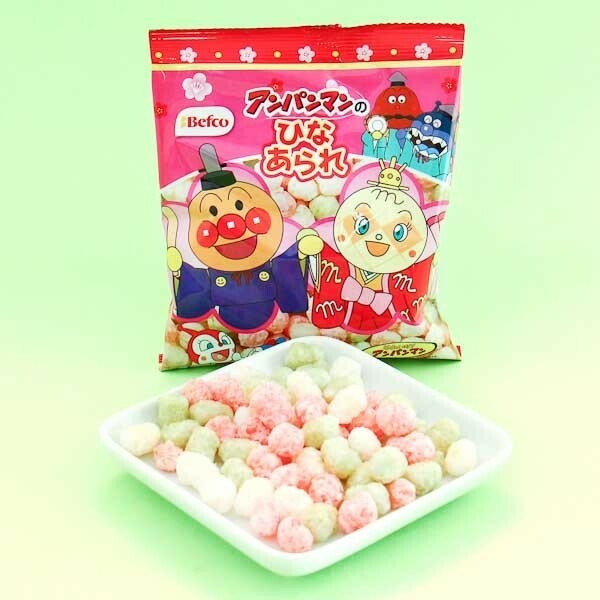 These special Anpanman Hinan-arare candy snacks are small, colored rice cracker balls, which are made specifically made in Japan for "Hinamatsuri"! Hinamatsuri or "Doll's Day" is traditionally celebrated on March 3rd, where dolls carry away your troubles and bad luck. 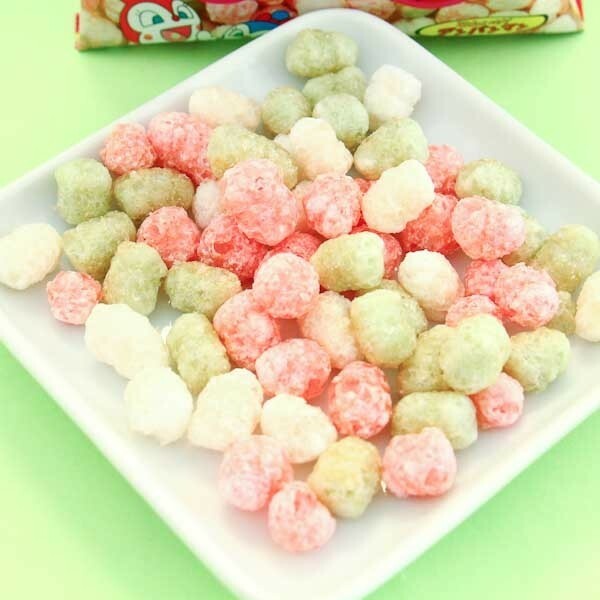 The different color balls are either sweet or salty, super light and crispy! This snack sized pack is the perfect snack to bring with you on your adventures, and to share with your friends!